The Brule is an incredible regional resource, famous for its steelhead, brown trout and salmon runs, as well as the dry fly fishing on the upper spring creek reaches. The historic outlet of glacial Lake Superior, it deeply incised in its valley and met abundant springs. Now, it flows northward into Lake Superior but remains one of the only true spring creeks in the entire region. The river is open the last Saturday of March through November 15th. Steelhead and salmon begin their run in the fall, and steelhead stay in the river through the winter before spawning and heading back to the lake in spring. Brown trout start running in August with large lake-run fish available throughout the fall. The upper section of the river is best explored by canoe. Alternating between deep wilderness and historic homes, the solitude of the upper Brule River is an experience not to be missed. 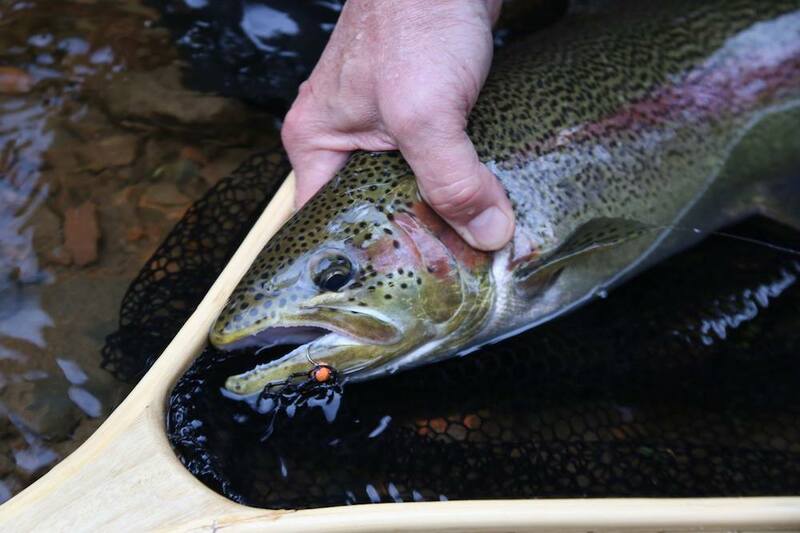 Anglers looking to find wild brook trout, resident brown trout and the fabled hex hatch should look no further than the upper Brule. The WI DNR operates a fish passageway on the lower river to stop invasive lampreys, as a result it allows for a count of every migratory fish that moves upstream through the window. Check out the counts below and how current runs are comparing to historic fish numbers. Find local lodging in the town of Brule to making your fishing trip easy. Since our beginnings in 1997, we have carried the finest fly fishing and fly tying products available. Our large selection of standard flies and local favorites will have you prepared for the various fly fishing opportunities awaiting you in the North Country and abroad.